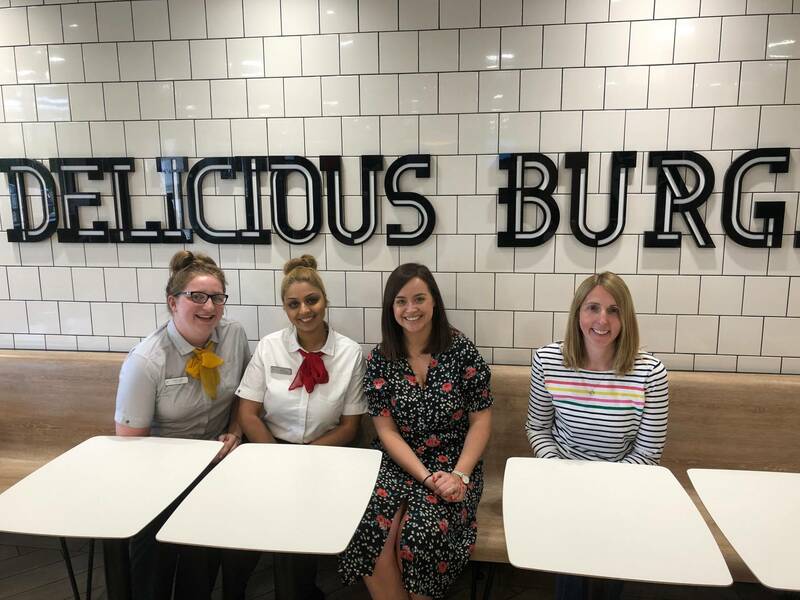 Since becoming a parent I’m always looking for ways to make my life easier and I was recently invited along to McDonald’s in Oakwood, Leeds to find out about the changes they’ve been making to do just this. When I arrived I was greeted by a building that wasn’t your normal style of McDonald’s and it was lovely to see a beautiful old building, with added seating out the front. Inside was just as surprising to see a stylish decor around every corner and on every wall. I was greeted by a member of staff, who I later got to have a chat with about her job as a Customer Experience Leader , she greets everyone as they come in and is on hand to give any assistance. What have McDonald’s done to make out life easier? Well, they’ve done a few things and today I’m going to be telling you about the Click and Collect service. When I first I heard about this, I thought oh no I better not get stuck in traffic otherwise my food would be getting cold waiting for me to collect. But let me reassure you, this is never going to be the case and I will tell you why. 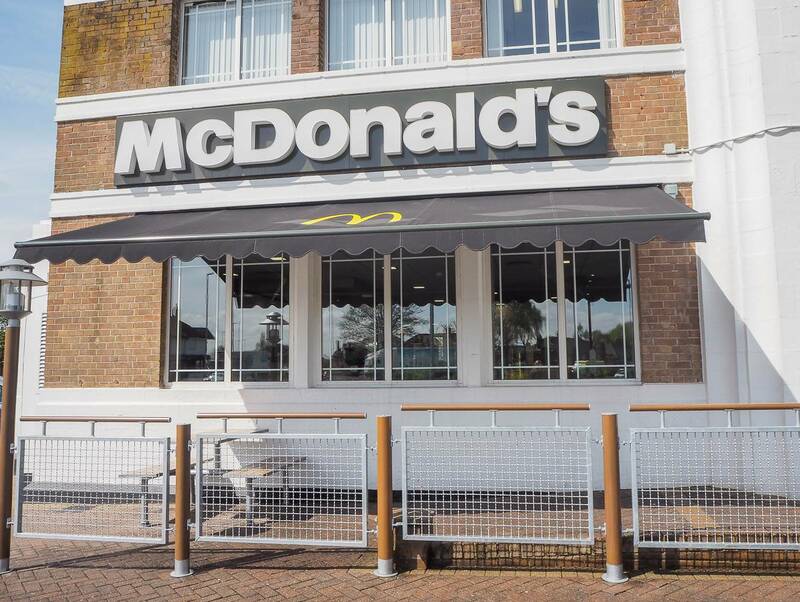 Click and Collect is all about making our life easier and regardless of the reason why you are heading to McDonald’s, it will help you out. From a parents perspective is brilliant. 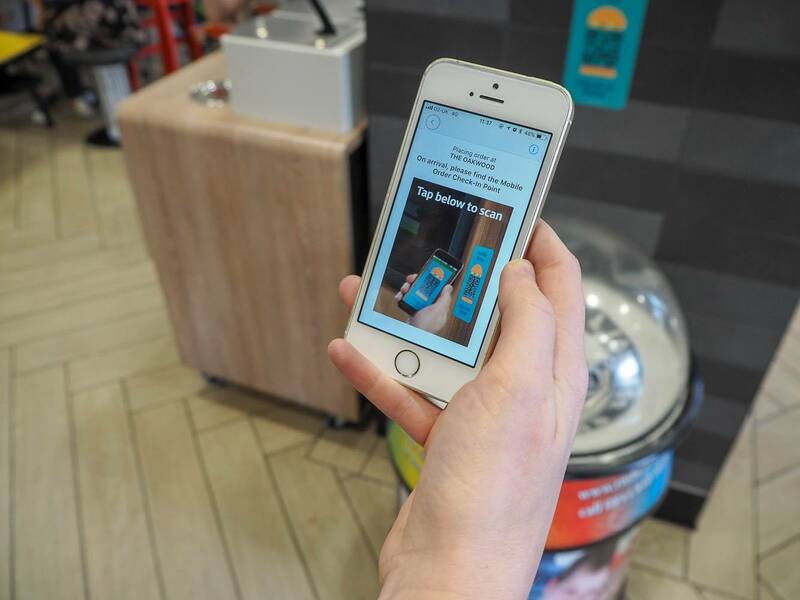 There is no more pressure to place the order in a busy McDonald’s with a queue behind you, whilst you’re trying to get your child to decide between milk or water. 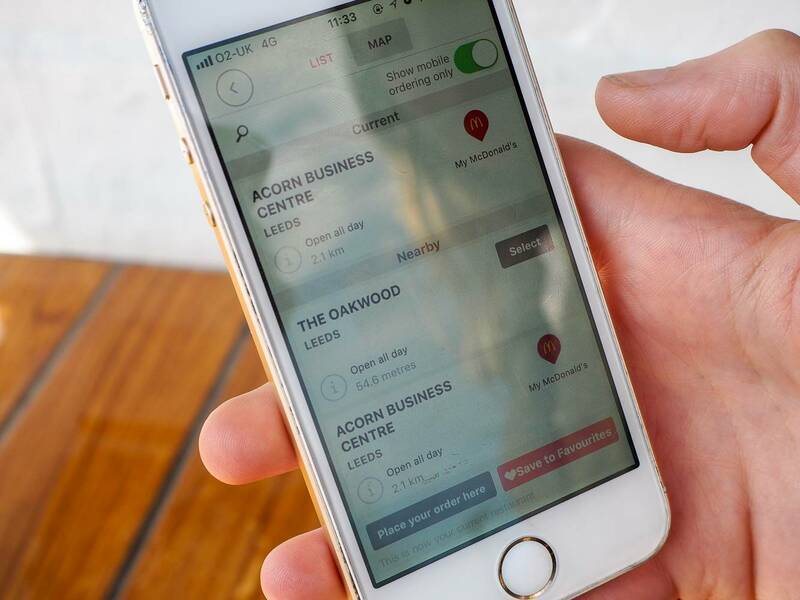 Now you can get everyone to decide what they would like before you arrive, by using the click and collect app. It’s really easy to use and it will find your nearest McDonald’s or you can search for one. As I mentioned, your food doesn’t get cold waiting for you to arrive, because they do not start cooking your order until you arrive. 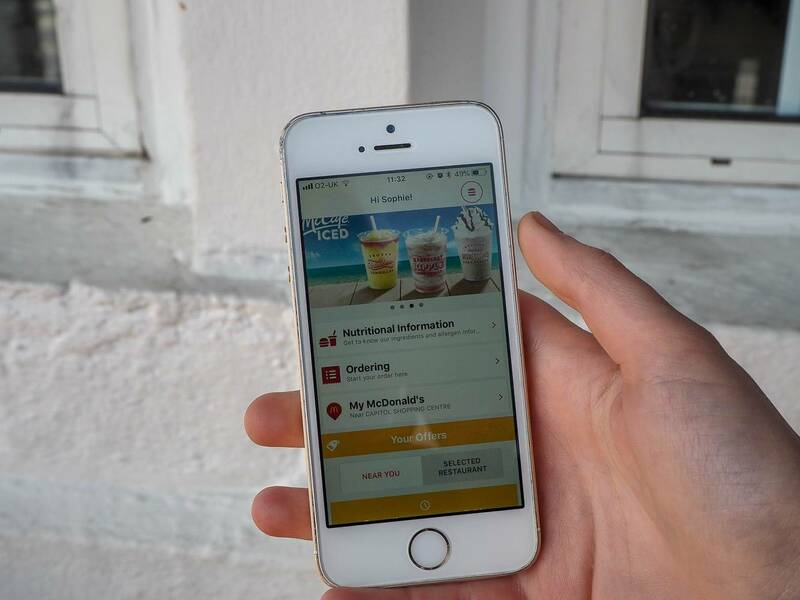 Once you’ve placed your order on your phone and you arrive at your McDonald’s, there is a mobile point where you can scan your order and it’s at that point McDonald’s knows that you’ve arrived and starts preparing your meal. This makes it a really quick and easy process and your food is freshly prepared. I found it really easy to use and I can see this being great not just for parents. But in offices when you are placing a big order, you no longer have to write it all down. You just use the app and scan it in at arrival, very easy. Whilst we were there we also got to speak to a couple of employees of McDonald’s. Kerry-Leigh has worked at McDonald’s for 3 years and is currently in her gap year at university. She talked passionately about the flexibility they offer staff and when she returns to university they will support her in reducing her hours. We also spoke to the lady that greeted me when I arrived and she has been working there for 4 years and is the Customer Experience Leader. She talked about how McDonald’s has helped her gain more confidence and that it is a real family environment. She left college and now every day she loves coming to work. Which says a lot. They both talked about the great training there is for new starters and that the new systems have made it a lot easier for new employees to learn. What I felt most whilst talking to them both, was their pride in working for a company like McDonald’s. They couldn’t say enough about the company and how it has supported them both. I had a lovely time at McDonald’s learning all about the new ways they are making our lives easier and meeting the employees. I’ll be sharing with you soon about their new table service. Disclosure: I’m working in collaboration with McDonald’s to promote their #YourNewMcdonalds services. All views, opinions are my own. This all sounds really great. I always like it when a company’s employees are happy to go to work! I really like the fact that you can take your time ordering with the app and the scanning it in when you arrive. This sounds perfect as my child has autism so waiting is a huge issue, as are crowds. I hope this takes off nationally. This is a brilliant idea and a unique concept! I love how they dont start preparing your food until you have arrived. Is it bad of me that reading this has made me crave for a Macdonalds?! It’s lovely that the McDonalds workers are clearly so proud of their jobs and company. I think this is such a good idea – now I’m craving a big mac! I love this app! I downloaded it a while ago but only tried it out recently when we had friends over. Instead of having to remember everyones orders we just did it from home and then picked it up with no hassle! I love it!